As MP4 is a compressed video format, it usually takes extra time for iMovie to uncompress the video first and then transcode it to some format that is workable for iMovie. That’s the reason why it takes us much more time than we imagine getting a video trimmed. In this article, we are going to go over the best video trimming tool we can rely on to trim MP4 videos on Mac: Wondershare Filmroa for Mac(Originally Wondershare Filmroa for Mac(Originally Wondershare Video Editor for Mac)), which will take you the least amount of time and offers you pretty much all other basic functionalities you will need to finish your project. Free or paid: there are some small free MP4 trimmer software available, with just the trimming function or very few more extra functions. Cons are that free programs often rely on annoying ads or other ways to make profit from installations. So be careful not to let it change the default settings of your browser and system. Easy-to-use: Does the program require lots of investment of time to learn to use it? Generally, if you are a newbie, the easier to use, the best. Formats supported: each program may have a list of supported formats, free ones usually support 4 to 5 types of popular formats and paid programs often cover a vast range of video formats. If the video you are working on has a rare format, then you will have to pay special attention to this. Functions: Does your project only require trimming? Or besides a simple MP4 trimmer, you may also need tools to join the split scenes together, crop blanked areas, add some audio effects or voiceovers, adjust the video speed etc,. even want to apply some special effects such as a split screen, overlay or filter effect, transiton effect etc. to add a touch to your video? If your answer is yes to this one, then you’d better look for an all-in-one software than just a simple MP4 trimmer running on Mac. Let’s take a look at how to trim films in .mp4 format using wondershare video editor for Mac. Step1: Open the MP4 clip you would like to trim using Wondershare(Besides MP4, it also supports many other video formats such as .mov, .flv, .avi, .mkv and more, check out a full supported list here). Step2: Drag the MP4 video to the video track on timeline for trimming. After that, move the slider to the beginning point and the end point of your video clip, when you see an icon like this : just drag your cursor to trim the video as you wanted. This will enable you to trim either the beginning part or the ending part. If you want to remove a part from the middle, just use the split feature. 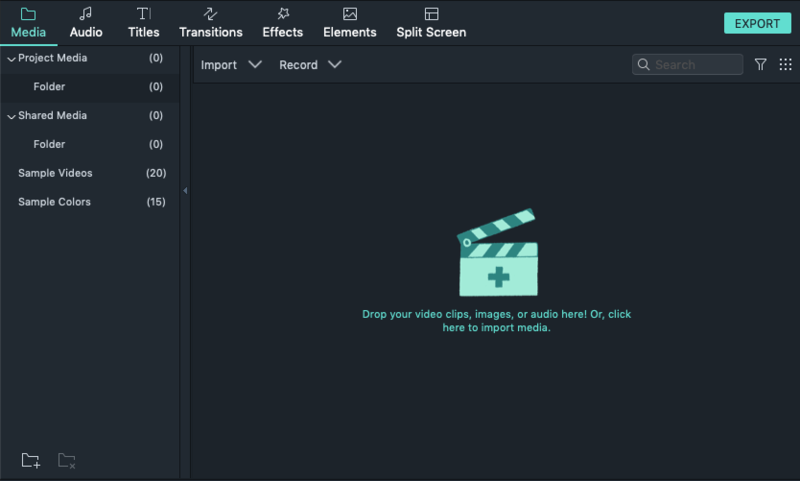 Drag the split maker to the starting point of your unwanted scenes, and then click the scissor button to first separate your videos into two parts. When done, drag it to the end of the unnecessary part likewise. Click the scissor button again. Choose the middle part and click the delete icon .